Swinging for the fences in Seattle. John Trupin has been named player of the week in recognition of his dominating performance on the mound in the Bulldogs’ league opener against the Ballard Beavers. 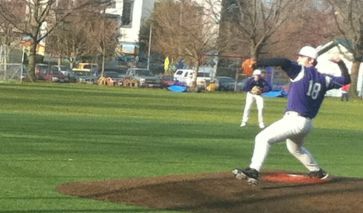 Trupin, a junior, tossed the KingCo 4A League’s only complete game last week: a sparkling 90-pitch performance in which he struck out seven and walked only one en route to a 3-1 victory. John Trupin fires off a pitch to a Ballard batter. The pitcher scattered seven hits, getting 13 outs from infield ground balls. His strike to balls ratio was a stellar 62:28. The defining moment of his game came in the top of the seventh inning. The Bulldogs were trailing going into the bottom of the sixth, but then rallied to take the lead. The pressure was then on the pitcher to seal the win. Trupin was up to the task — shutting down the Beavers in order and finishing with a strikeout. The Bulldogs play at Woodinville tonight at 6:30 p.m. 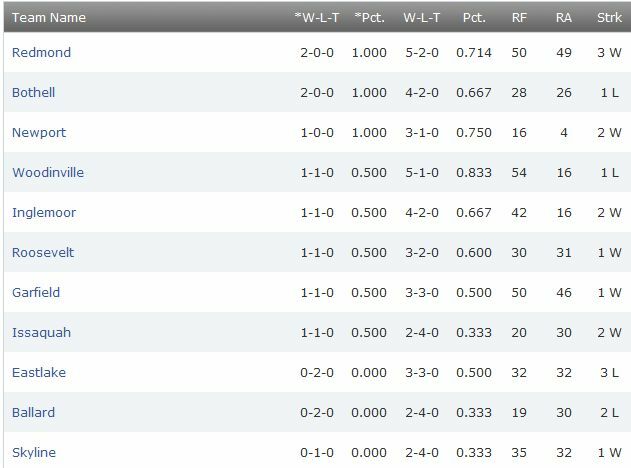 Here are the full KingCo 4A standings after the first week of play.